I've been staring at blue and gray paint chips all weekend. The colors are all starting to blend together. Isn't it amazing how very subtle differences in color can make such a huge difference in the feel of a room? Do I want the blue with a bit of gray in it? Do I want the one that is more saturated? Do I want a pure hue? Etc. It can be a bit confusing. Although there are tried and true methods to picking a color scheme (I've talked about some of them over at the Fifthroom Living blog - you can read the article here) the subtleties of color differences within the same basic hue can be a challenge. And that's what I'm up against. But I almost have it narrowed down. I think. 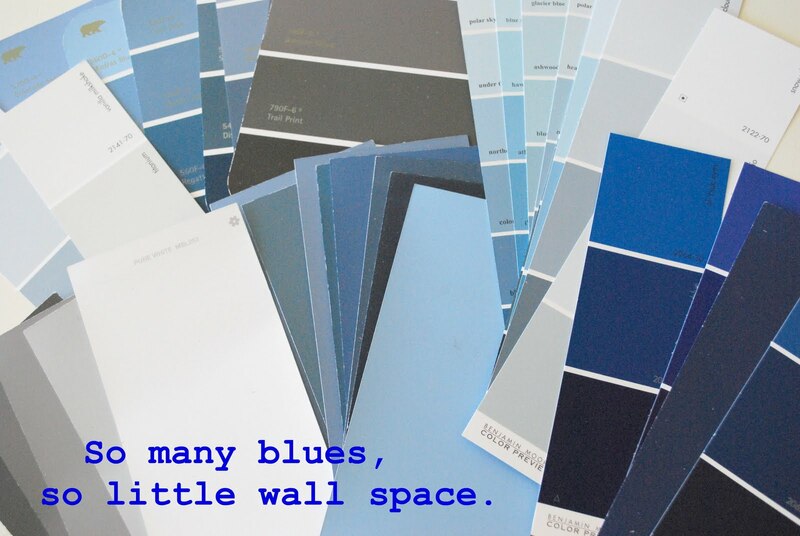 So I'm curious, my dear readers, how do you finalize a paint decision when you have two or three almost identical paint colors to choose from? In other decorating news, after an exhaustive search, the Princess and I have found the fabrics for her bedroom!! Here's a sneaky peak at what's in store for her room. It's going to be FABULOUS!! Seriously. so. excited! Hopefully some dramatic decorating changes around here this week. What about you? Any big decorating plans out there?? Lovely choices. I usually end-up with a tester pot of the finalists and try to look at the colour at different tomes of the day. The one that looks the nicest the most amount if times wins. We're trying to get the last of the new space finished and the old part of the house primped and flowing together. I'll be thrilled when this is done. I just painted a room grey. I was in a rush to get it done before a party. I used Sherwin Williams Comfort Grey. I stole the color from the Inspired Room (I think). I really was a rush to find a color! Anyway, looks fabulous. Maybe you should stop over-thinking and just run with something! :) Good luck! When the colors are nearly identical, it sometimes helps to hold them near other colors that will be in the room with them as the tone of adjacent colors will influence what your eye 'sees'. Light (both natural and incandescent) also changes the tonality of a color. Good luck. I can't wait to see what you choose! lots of plans for months and months...but no actions...maybe I'll be inspired once I see what you do! love, love, love! the fabric swatches you let us peek at! Can't wait to see how you used them!! 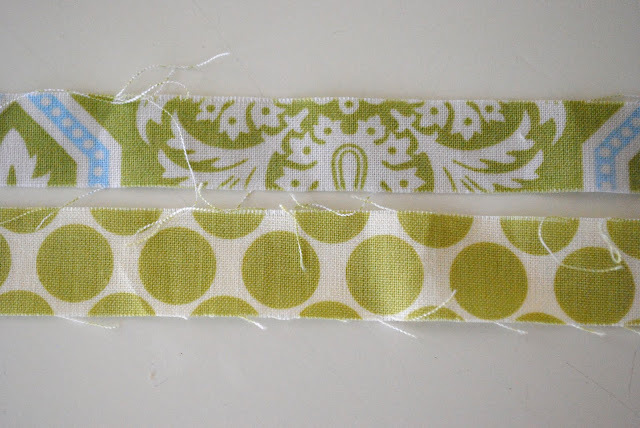 Love those fabric swatches! Perfect for a growing girl. :) Wanted to thank you for taking the time to comment on my "Blogging Myths" post today. I appreciate it! I'm really bad about just choosing a color right on the spot, in the store. I know, it's dangerous lol. I love, love a blue room though and your fabrics for your daughters room are awesome! You know I just jump right in with a paint color...but it probably because I love to paint! I'm loving the fabric....it's going to be great!